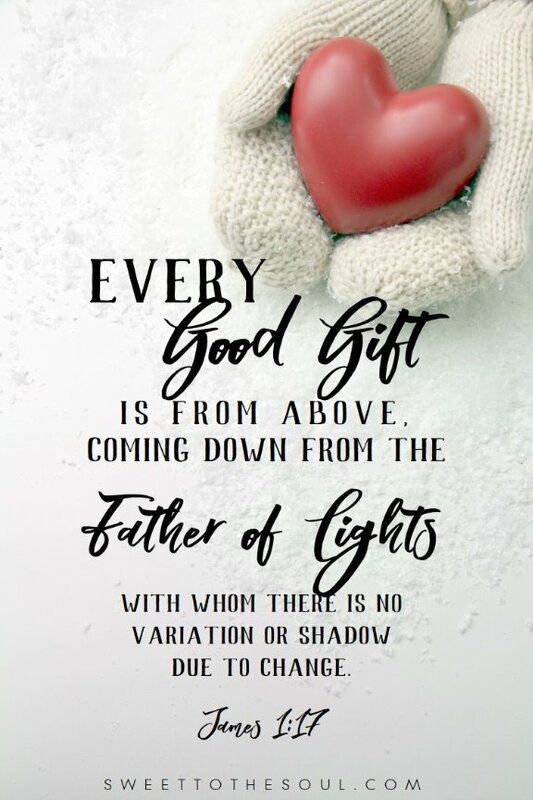 ​“Every good and perfect gift is from above, coming down from the father of lights with whom there is no variation or shadow due to change"
​Do you have a favorite gift you received from someone special? I have so many special memories of special gifts and the beloved gift givers. It seems, especially this time of year, when there is so much giving going on, we can get preoccupied with the gifts instead of the givers. In my home are old quilts, handmade art, paper and popcicle stick ornaments, broken cracked & glued china, and many other items that wouldn't mean anything to anyone else but me. But looking at those things, bring sweet memories to my heart of people I love and have loved me. Sentimental? Maybe. I'm sure a little maturity is mixed in there too. 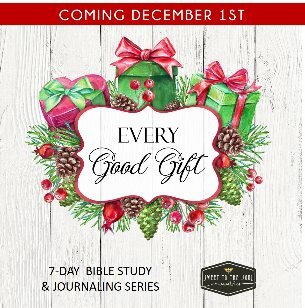 Each one of these items - and so so much more - as well as the givers themselves, are all special gifts from God. James reminds us that everything we have is from the hands of God. The beautiful home or shiny new car you just purchased because you worked so hard to earn that promotion and bonus at work. Yes, all of those things are wonderful gifts from God. The home, the car, the gas, the job, the position, the money... all of it - gifts from God. Yes, you worked hard, yes they may be fruit of that work, but everything is from God. You know, for so many years I strived and took all the credit for the "luck and lovelies" that "I" earned. Then one day they were all gone. They had become my focus and my little gods. And they distracted me from God. Now don't get me wrong, nothing I had was bad itself, just the prominence to it which I had given. And I have a feeling I'm not the only one that has found themselves in the same position. So my prayer for each of us this Christmas - and every day beyond - is that we be more consumed with the Creator of all things rather than the things created. Thank you Lord for your many gifts and blessings, and open our eyes and hearts to recognize each one. Show us ways that we can bless others with the gifts you provide to us. In Jesus name, Amen. 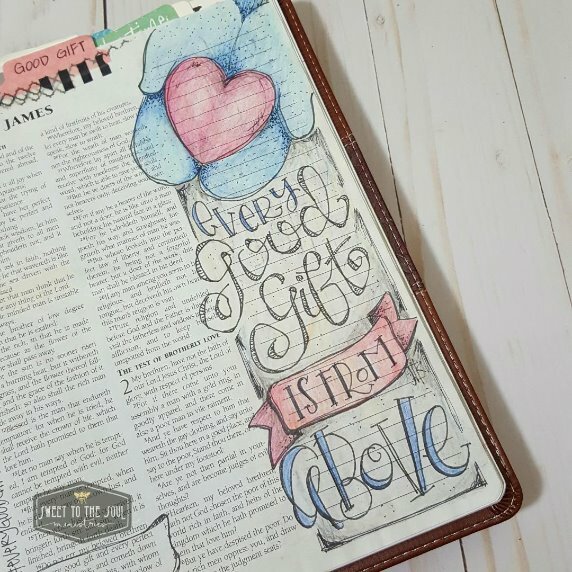 Today's Bible Journaling was hand-lettered and colored in using colored pencils. Download your copy by adding your email address HERE.